It's a remarkable world. If you find yourself far from New England's shores but craving the region's tastiest crustacean, you can have lobsters delivered to your doorstep tomorrow. In fact, there are dozens of lobster sellers online waiting to take your order for lobsters and all of the accoutrements of a New England lobster feast. Here are a few things you should know before buying lobsters online. A 1- to 2-pound lobster is usually sufficient to serve one person. Keep in mind that with lobsters, bigger is not necessarily better. 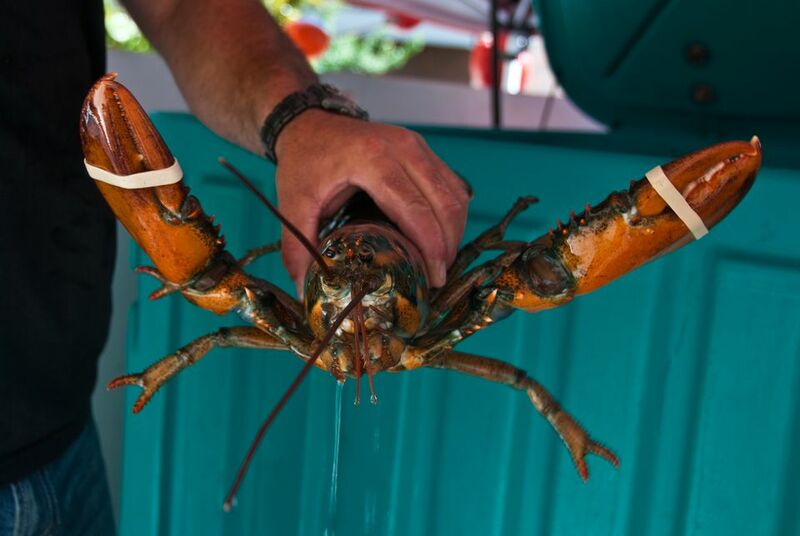 Lobsters that weigh 3 pounds or more can be chewy and tough. Many New England lobster sellers package lobsters with other New England Clambake fixings--chowder, steamers, vegetables, etc.--so a petite lobster may be enough to satisfy your craving. Lobster sellers utilize overnight shipping to ensure that their catch stays fresh, so the good news is that you can be a procrastinator. Most lobster companies will take orders up until a certain cut-off time each day (usually between 1 and 3 p.m.) for delivery the following day. You can also plan ahead and place your order early, but it will still be shipped the day before you want it to arrive. Because lobsters must be cooked live, a bit of planning and foresight is required. First, be sure that someone will be present to sign for the lobsters when they arrive via overnight courier. Then, be sure there is enough room in your refrigerator to store them immediately. You should always plan to cook the lobsters on the day that they arrive. Learn how to boil lobsters or how to grill lobsters. The price of lobster is influenced by fluctuations in supply and demand, by size and by shipping costs. It is always a good idea to compare prices at several online lobster stores before making a purchase. Watch carefully, as some include shipping in their prices, and others do not. Ask about extras included with your order, too. Also look for specials, particularly around holidays. Because lobsters must be delivered speedily, many lobster companies do not ship outside the Continental US, or if they do, there is an additional charge. Some also only ship for delivery on certain days of the week. Keep in mind that it may not be worth it if the cost of shipping exceeds the cost of the lobsters. What do you do if your lobsters don't arrive alive and in good condition? It's always a good idea to check the individual lobster company's satisfaction guarantee before you decide to order. Many do guarantee that your package will arrive in good condition and that your lobsters will be everything you've dreamed of.